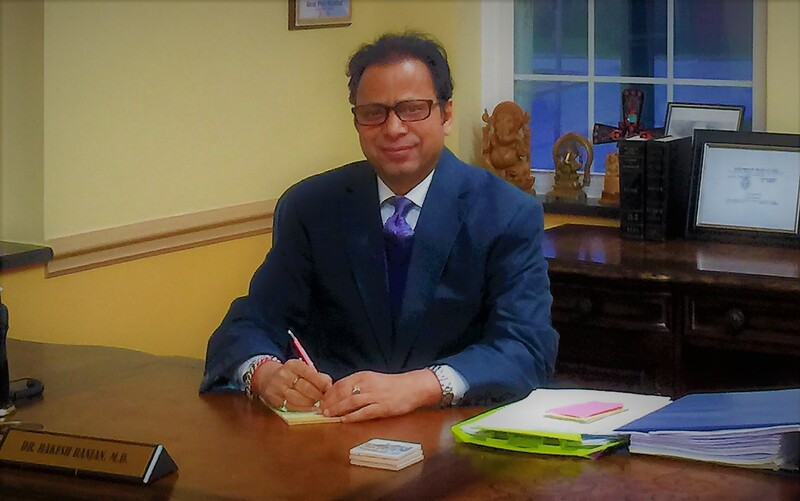 Meet Dr. Rakesh Ranjan, a psychiatrist and the founder of the Charak Center for Health and Wellness, with multiple office locations in northeast Ohio. He is a real Clevelander. When asked about Cleveland, he said, “I love Cleveland!” The four seasons, cultural diversity, and rich history are just a few of the reasons he loves the area. Dr. Ranjan is also passionate about psychiatry. He became a psychiatrist for many reasons. While he was in his psychiatric rotation during medical school in India, he was deeply affected when he saw a famous mathematician who was diagnosed with schizophrenia. He saw the impact of that not just on the individual himself, but also on the people around that person and beyond. He says, “I saw the need for a lot of research and new information in this field of psychiatry.” This led him to pursue the field as his career. Dr. Ranjan now has the Charak Center for Health and Wellness, as well as a Charak Home Health Care, and Charak Clinical Research Center. He admits that owning his own practice was not initially his plan. Before opening the Charak Center, he ran another clinic. When he left, the family members of his patients approached him wanting to know his future plans. They asked, “Why don’t you open an office?” Dr. Ranjan opened his Cleveland office, and then four other locations came along organically, with people retiring or asking him to take over their practices. In addition to his current centers, Dr. Ranjan is also in the process of creating on-site labs and an on-site pharmacy. He wants his practice to be a one-stop shop for his patients. Dr. Ranjan added that what would really make him happy would be to start a wellness center, offering a range of services from yoga to providing supplements.